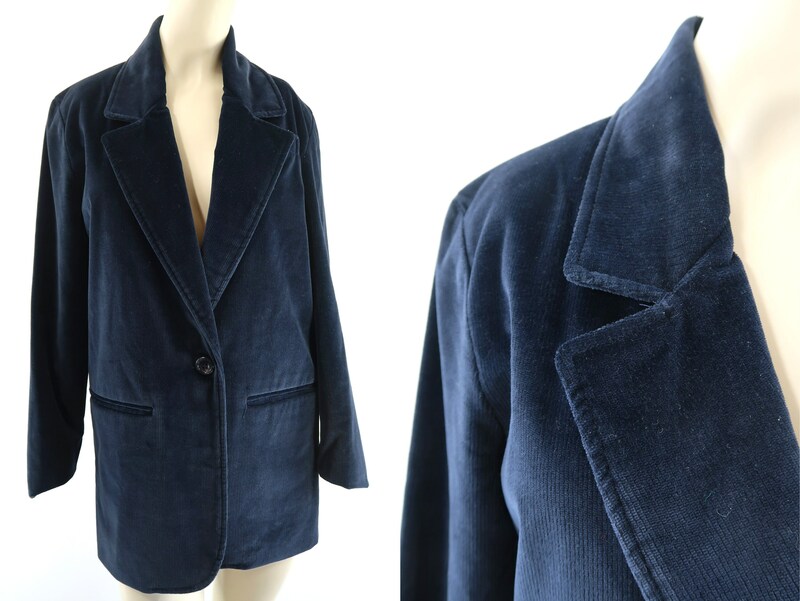 Super chic corduroy navy blue blazer. One button closure (two flat pockets on each side). Tagged a vintage size 4. Fits true to size.